Angels are spiritual beings tasked with providing love and guidance to humans. Through their presence in our lives, angels can offer us comfort and give us the strength we need to fulfill our purpose on Earth. Angels can send messages of wisdom and encouragement in many different ways. These messages can be elusive by appearing rarely or offering only a gentle nudge. They can also be quite obvious by being particularly odd, repetitive, or persuasive. It can be difficult to know if and when your guardian angel is communicating with you. The following guide will give you an idea of what kind of signs to look for and what they could mean. It is said that rainbows are a common sign from angels. They are a symbol of encouragement, hope, and perseverance. Since rainbows generally forms after storms, they are a good reminder that if you push through the hard times just a little longer, there will be something beautiful waiting for you on the other side. 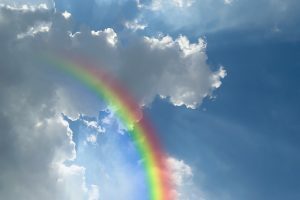 Because they are more likely to form in rainy skies, you should pay particular attention to a rainbow that appears on a clear day. This relatively rare occurrence could mean that an angel is trying to send you a much-needed motivational message. Babies. A baby or child can imply that a new beginning is in store for you. Circles. Circular clouds can mean that an important project is about to be completed. People. A sole figure can indicate that you are becoming more independent. More than one figure can reveal a lot about how you interact with others. Life is beautiful. There are gorgeous views, lovely sounds, and amazing scents and tastes all around us. With how busy and hectic everything can be, you might find yourself not appreciating all the beauty life has to offer. Noticing something wonderful when you least expect it might be an angel trying to communicate with you. Especially when you are having a bad day and suddenly find yourself taking in life’s beauty, it could be an angel assuring you that everything is going to be okay. These birds are often associated with visits from deceased loved ones. Robins sometimes visit the same garden every year to remind those they left behind that they will always be close by. Like robins, butterflies are associated with deceased loved ones. They are typically seen as gifts from loved ones sent to remind us that everything is okay. A butterfly landing on or near you is a particularly strong sign. Seeing butterflies can be a sign from an angel, but so can feeling them in your stomach. The Solar Plexus is a bundle of nerves in your stomach that can cause a knotting feeling. Angels can trigger this bundle of nerves when they are trying to communicate with you. “Butterflies in your stomach” can mean that you should be wary of a certain situation. If you are around a specific person when the feeling occurs, it can even mean that you should limit how much time you spend with them. You could be sitting in an empty room and not feel alone. You might even feel an invisible presence sitting nearby. These angel signs are usually accompanied by feelings of safety, warmth, and unconditional love. Even though coincidences may seem accidental, they can be the result of angels at work in your life. For instance, perhaps you’ve been looking for a rare collectible. After months of actively searching, you randomly stumble upon the object at a garage sale. Although there are many possible meanings behind this coincidence, your angel could be telling you to always have faith and never give up. This is another specific kind of coincidence. You might be thinking about an old friend or family member that you haven’t talked to in a while, and then they suddenly get in contact with you! There are many reasons that your angel would have someone close to you reach out. They might see that you need that companionship in your life and are helping you get it. They might even recognize that you are going through a tough time and instill wisdom in whoever is calling you. The right advice, coming from the right person, is enough to get anyone through a difficult time. Sometimes you might notice unusual streaks or streams of light around you. There might be an unexplained shimmer or sparkle in the corner of your eye. You might even see an orb in a photograph you took. The next time you notice one of these flashes of light, pay careful attention. Angels often use these strange light effects to indicate their presence in your life. Random goosebumps, chills, tingling sensations, or feelings of being touched are often considered to be caused by angels. These can occur anywhere from your upper arms and shoulders to your head and back of your neck. These sensations generally occur when your angel is connecting with you. 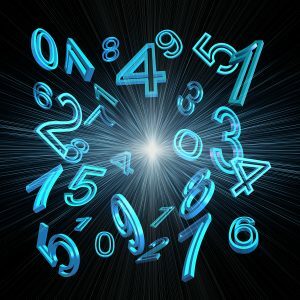 They might be trying to affirm whatever you are currently feeling or thinking. They might also be indicating closeness while you are meditating or praying. Sometimes, angels can be more explicit in their communication. You might notice text appearing throughout your day in unusual, repetitive patterns. 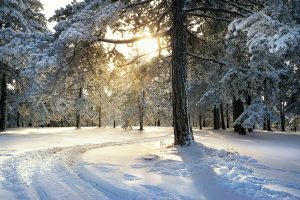 These can be signs that your angel is nearby and offering direct guidance. A book unexpectedly falling from a shelf and opening to a page with a meaningful phrase. Billboards along your commute containing a significant word that jumps out at you. You might find yourself stopping at the same traffic light every day at 5:55 PM. You might look at a clock and see 4:44, then pay for a coffee that is $4.44. Babies and animals can have a special ability to feel an angel’s presence. You might notice that an infant is fixated on seemingly nothing yet smiling. Your dog, similarly, might be following an invisible moving object with their eyes. Babies and animals are generally happy in the presence of an angel, but may also be excited. Pennies and dimes found in unusual places are said to come from angels, hence the phrase “pennies from heaven.” Finding change can be a simple message of love and support. Who or what were you thinking about when you found the coin? Does the coin have unique markings? Does the year on the coin hold any significance? White feathers are a popular sign from angels. 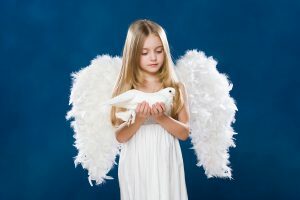 Any feather might be a sign, but a white one is commonly known as an angel’s “calling card.” It typically holds a message of reassurance and encouragement. When you find a white feather, know that your angel is at your side and will help you through your struggles. 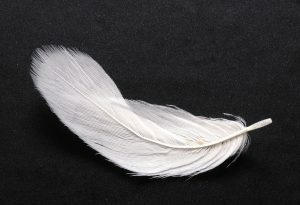 A white feather may hold special significance when found in an unexpected place. You are more likely to find one on a walk, but a feather in your purse or home is harder to explain. Angels can make their presence known through pleasant scents or aromas. You might suddenly find yourself overwhelmed by the smell of delicious food or flowers. It is also common to smell the perfume or cologne of a deceased loved one. This occurrence often means that the angel is accompanied by that very loved one. Like with other signs, smells that appear with no easy explanation are more likely to be the result of an angel. If you are with other people, it is also of significance if not everyone can notice the scent equally. When you come across a sign from an angel, you should receive it with openness so that you can fully understand its message. You should also send thanks to the angel for the help they provided. No matter what form your angel’s messages take, it can be difficult to recognize and interpret them. At the end of the day, you know your guardian angel best. By paying attention to the little details in your life, you will be able to interpret signs on your own and understand how they apply to you. Angels are tasked with providing guidance but recognize that humans have free will. After you see and interpret their messages accordingly, it is ultimately up to you to either accept or reject their help.